Welcome to this brand new fantastic collection of LARGE PRINT arrow words! Looking for something a little less strenuous on the eye? Look no further! These puzzles are printed on a large 8.5 x 11 inch page size in a 16 point font size. 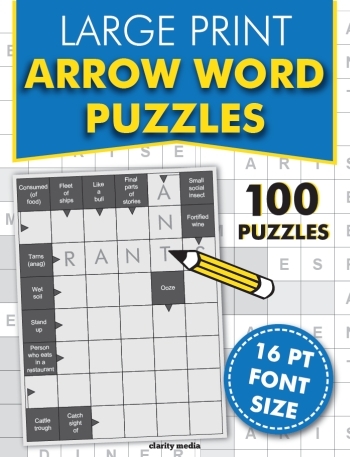 Arrow words are a great variation of the classic crossword puzzle and are loved by many, but it is incredibly hard to find them in an easy to read font size. Here, we have compiled 100 puzzles for you to enjoy at your leisure. 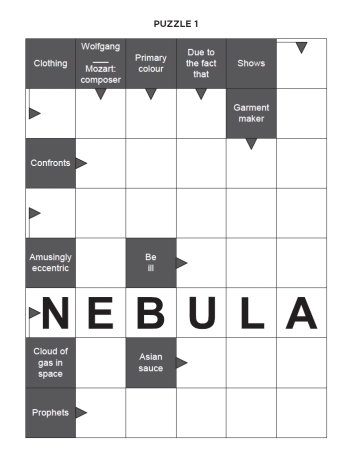 Puzzles are printed in a large and clear 16 point font size which is much bigger than standard print in puzzle books. We hope you enjoy challenging your brain and testing your grey matter with these puzzles. If at any point you need a clue or some inspiration, turn towards the back of the book where all solutions are featured.